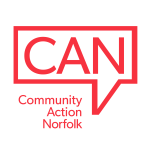 At Community Action Norfolk we put the needs of the whole community at the heart of what we do and work closely with them to identify needs and to develop solutions. This might be helping a community to develop a local plan, set up a Good Neighbour scheme or improve facilities in their area. The work we do looks different in different places, because although many of Norfolk’s communities face similar issues, no two communities are the same. We take common problems and work with people to develop a solution that is right for their local area. Community Action Norfolk works with people to help ensure that Norfolk’s communities are vibrant, thriving places to live and work. Connectivity: is the community well connected, with good access to services and communications that link people to jobs, health and other services? Services: is the community well served with public, private and voluntary services that are appropriate to people’s needs and accessible to all? Social and cultural: is the community inclusive and safe, fair, tolerant and cohesive? Are there a strong local culture and shared community activities? Economy: is there a flourishing and diverse local economy? Built and natural environment: is it well designed and high quality? Environmental: is the community environmentally sensitive, providing places for people to live that are considerate to the environment and use natural resources in a sustainable way? Governance: is the community well run, with effective and inclusive participation, representation and leadership? Fairness: is the community fair for everyone, including those in other communities now and in the future? Generally people think of 'communities of place' when we talk about communities, but it is important to remember that this is not the only kind of community. Communities of interest, for example, around the needs of older people, can have strong links and be effective agents of change. Whether your community is based on where you live or what interests you, we may be able to help. If you want help to change something or advice about setting up a community organisation, get in touch. This is a model we have developed based on the Egan Wheel. In 2004 Sir John Egan was asked by the Deputy Prime Minister to examine how communities could be more sustainable. Egan suggests that sustainable communities must meet ‘the diverse needs of existing and future residents, their children and other users’ by offering choice. He introduced what is referred to as the ‘Egan Wheel’, which can be used as a tool for judging sustainable communities.